Fight Night: Round Three was a no-doubt-about-it success when it arrived a few months after the launch of the Xbox 360. With the' Fight Night team in charge, many are looking to EA Sports UFC to deliver the same impact for the new console generation this spring. The studio released the first two in-game screenshots this week. Jon Jones stars in both of them. He's not the Martian Manhunter, he's the reigning UFC light heavyweight champion and will star on the cover of the game. There's not much to glean from these looks, other than damn-near photorealism and some swell closeups of Jones' tattoos. These do not appear to be from gaemplay but rather an entrance or other cutscene. Still, for a first look, it looks good. 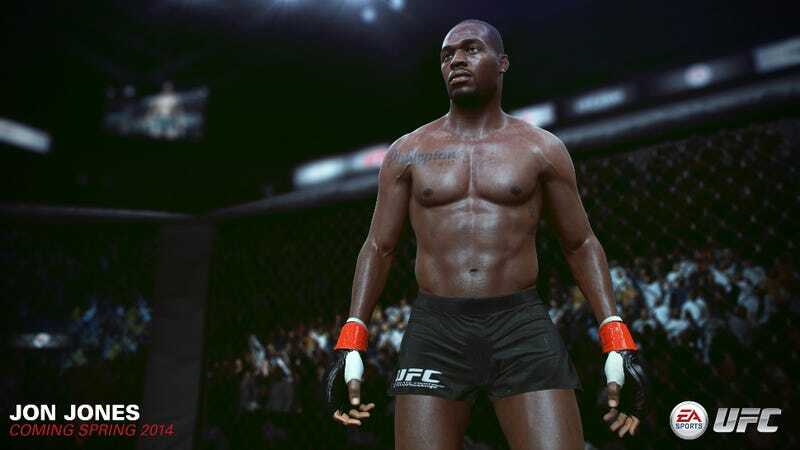 EA Sports UFC has not been given a release date, other than a spring 2014 window.